Sodium bentonite is a naturally occurring clay which acts uniquely when it comes in contact with water. When bentonite becomes wet, it absorbs the water and expands many times its dry size to form a watertight membrane or barrier. Western bentonite, a most unique industrial mineral, also has uncommon origins. 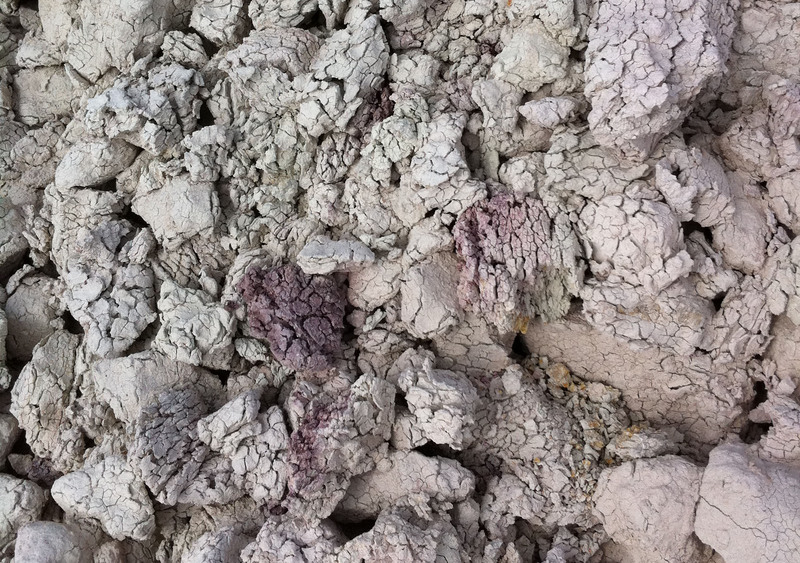 Bentonite’s parent material, volcanic ash, is the direct by-product of plate tectonics. During the Crustaceous Period, the North American Plate drifted westward forcing the eastern edge of the Pacific plate deep into the earth’s mantle. Soon a chain of volcanoes stretching from Mexico to southern Canada were spraying large quantities of ash and lava. During these near-continuous eruptions, ash billowed up into high altitude winds. The prevailing winds carried the ash eastward. As the ash began to fall back to earth, it accumulated into deposits that can be seen today. 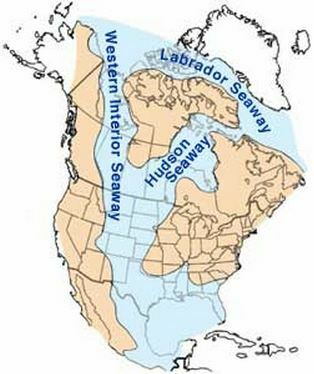 The Western Interior Seaway occupied much of the central United States. These waters stretched from the Gulf of Mexico northward in a narrow body to the Arctic Ocean. This sea was shallow, calm, and somewhat stagnant due to a lack of regional currents to help circulation. The seaway was also rich in dissolved minerals eroded from the surrounding landforms. The fine grained, glass-like ash particles fell into these waters and began reacting with the ocean’s minerals. As the ash accumulated on the sea bed, it is believed thermal currents helped to pile the material into “ash drifts”. This would explain why some sodium bentonite beds are now found in random lenses, much like snow-drifts on a field after a blizzard. As the ash fall subsided, the only activity was the slow accumulation of sediment eroding from nearby landforms. Over the subsequent millions of years, minerals from within the ash and elements in the sea water combined to form the intricate chemical lattice that makes bentonite so unique. Silt and mud accumulated into massive layers above this mineral-rich soup. 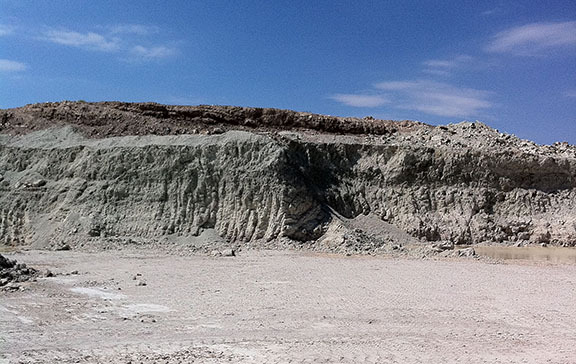 The weight slowly compacted the bentonite beds into distinct layers within the Cretaceous formations. Sixty million years ago a period of intense mountain building caused folding and raising of the North American plate. This action elevated the formations and drained the sea. The rising land mass began drying up as water trapped within the formations migrated downward. This action further refined the ash by carrying dissolved silica out of the bed, down into the underlying mud. In the millions of years since, thousands of feet of sediment have eroded from these mountains re-exposing the bentonite layers.